You never thought it could happen, but your dentist tells you that you need dentures/partial dentures. And you had a basic idea of daily oral care, but dentures can’t possibly be the same as normal teeth, right? So does this mean you will need to retrain yourself a new dental care routine in order to look after them? Not quite, but you will definitely have a thing or two to remember. Here are just a few handy tips to keep in mind as you are going forward. While dentures are designed to withstand quite a bit, just because they aren’t your originals, it doesn’t mean they don’t need a little upkeep. In fact, consider them exactly like your real teeth when you are looking after them and your mouth. Dental implants are generally meant to last at least 5-7 years, but they are still breakable, so handle them with care. Make sure you are over a soft space when removing or cleaning them, in case you accidentally drop them. You aren’t going to get rid of your toothbrush, but you can absolutely get rid of your toothpaste. In fact, toothpaste is generally too abrasive for dentures and could scratch them, making you more prone to other things that could develop. So, go ahead and toss out your toothpaste! 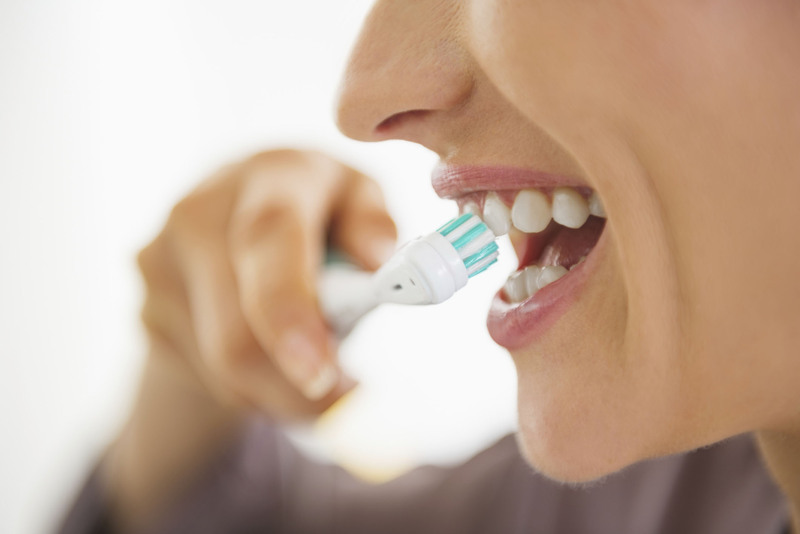 All you need now is a soft bristled toothbrush to remove and food particles and plaque from your dentures and mouth. They have specific soft-bristled brushes for your day-to-day denture care. In between meals, just give your mouth a quick rinse. When it is time to give your dentures a good cleaning, simply use some hand soap or mild dishwashing liquid. The ingredients in the soaps are extremely gentle on your delicate teeth and will avoid scratches or the accidental breakage of any metal or plastic pieces that are necessary to remain in your mouth securely. You are also going to be prone to gum diseases, just like you would your original teeth, so make sure you run a toothbrush over the inside of your mouth to clean brush away any bacteria that can cause issues later down the road. There are ultrasonic devices on the market that you can use to give your dentures a good soak, but it is for more of a deep cleaning and should never replace your daily brushings. It’s more like a cool bathtub for your dentures with its sound wave motion. The key is to keep your dentures moist when they are out of your mouth so they don’t warp out of shape, but make sure you avoid using hot water. Ask your dental professional for the proper soaking solution for your specific set of dentures. If you feel that you need dentures or would like more information on denture maintenance, contact Dr. Clive Rosenbusch, DDS at 561-394-7888 to schedule a consultation today or visit www.cliverosenbuschdds.com for additional information regarding laser gum therapy.